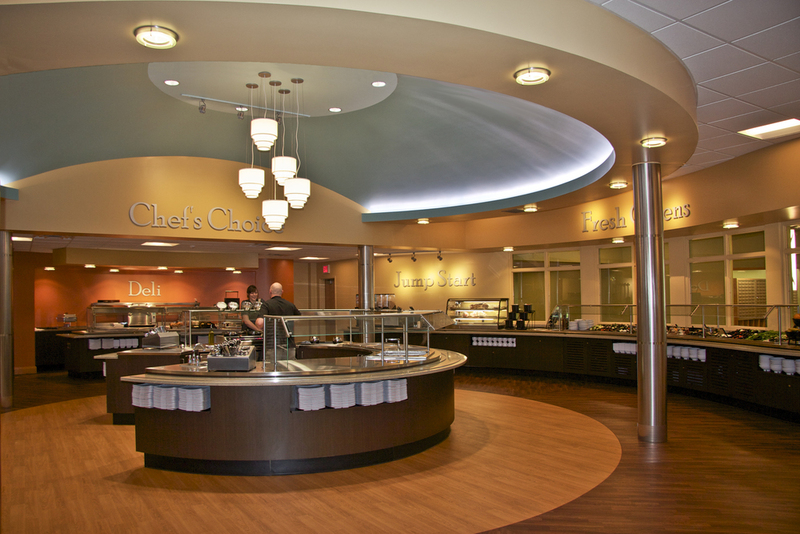 Cornerstone University Cafeteria — Visbeen Architects, Inc. 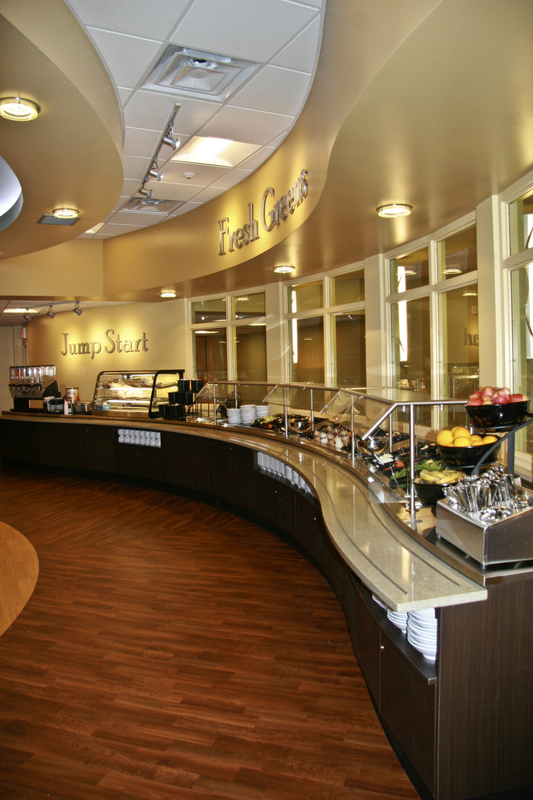 The Cornerstone University Cafeteria was in need of a facelift. 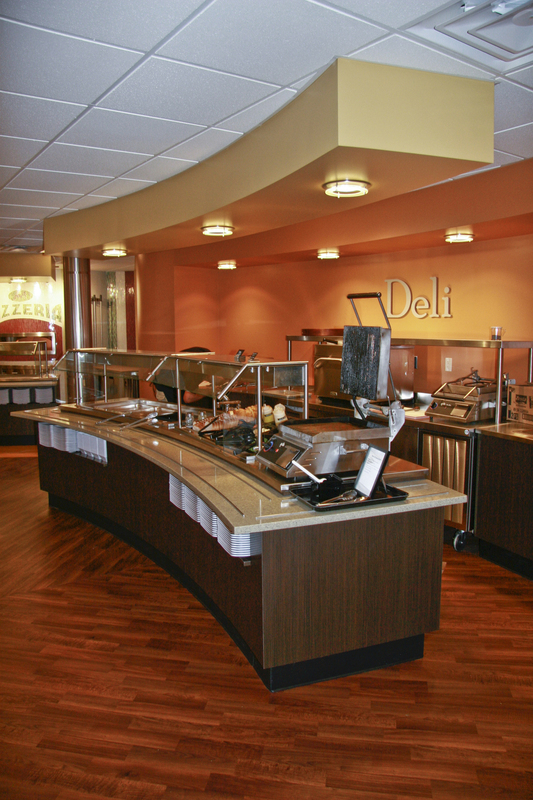 With the help of Visbeen architects it got just that. 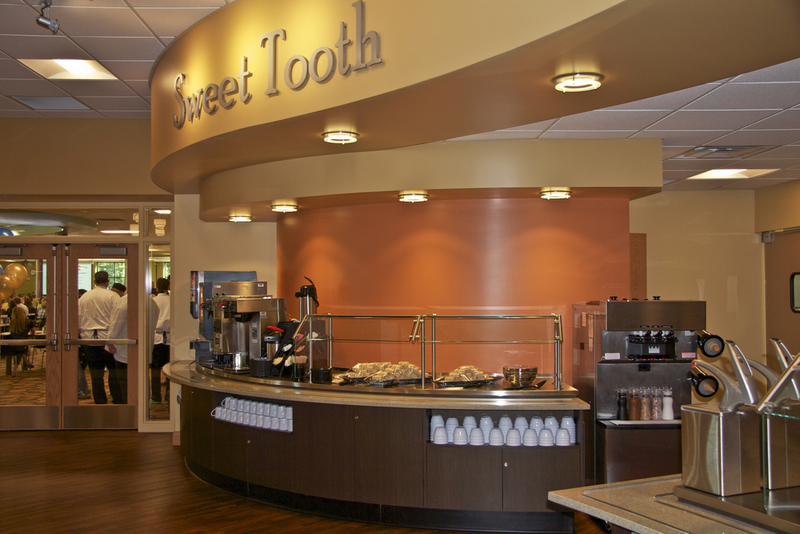 Redesigning the cafeteria was exactly what needed to be done in order to accommodate the growing population of students that live on campus. 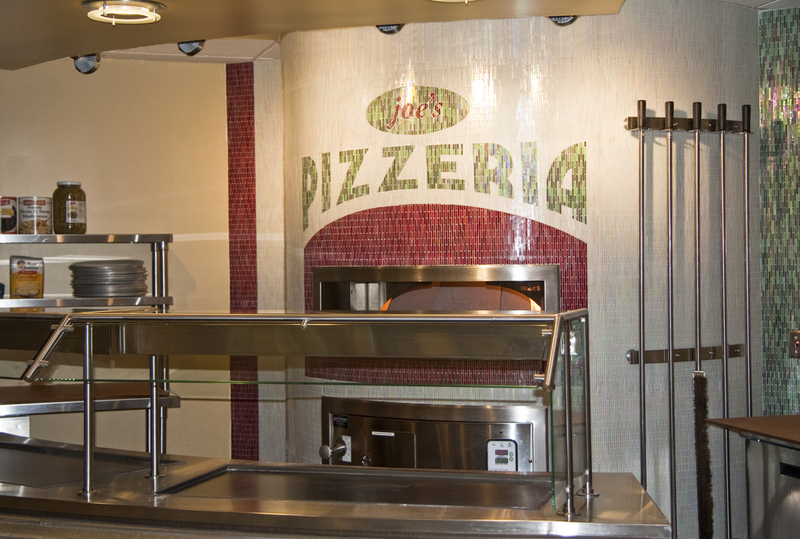 The cafeteria now features a new brick oven for custom pizzas, a "chef's choice" self preparations area and a Fresh Greens bar with a deli.